Quite a piece! Perfect for your stairwell or Foyer. 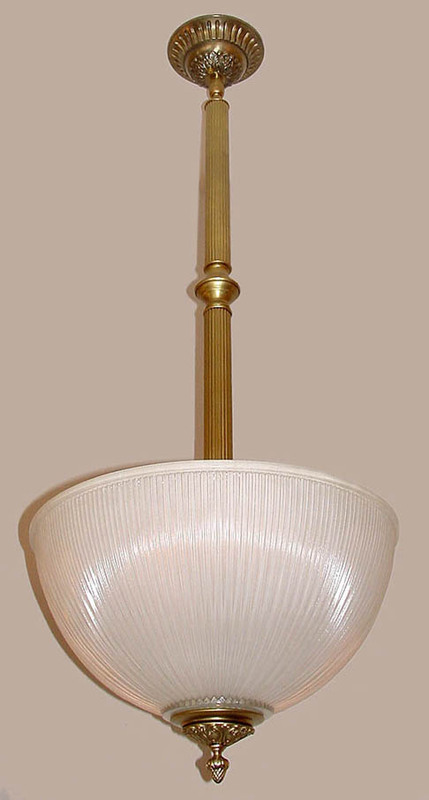 This Victorian style pendant is bold and highly visible, even when turned off. Reeded tubing and decorative embellishments create the look here. The prismatic large bowl glass carry's the theme perfectly! Shown in Light Antique Brass. Available in different Metal Finishes, different Glass, Back Plate and many other Custom Options.